The first time I ever heard Lizzie Velasquez speak was in October, 2014, at the Life is Beautiful festival in Las Vegas, an annual three-day event she inspired. 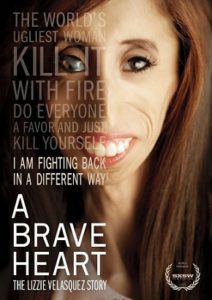 She immediately captured my heart with the story of her emotional journey from bullying victim to anti-bullying activist. While this was my first introduction, the 26-year-old was already a web sensation, with over seven million views and counting on her 2013 TEDxAustinWomen speech. She may weigh only 62 pounds at her heaviest, but she is no lightweight when it comes to speaking out against bullies.